Join the MyGolfSpy staff as they discuss their thoughts as well as what our testers had to say about this year's best-performing drivers. Join the MyGolfSpy staff as they discuss their thoughts on the top-performing drivers for 2019, including the longest and most forgiving options. You’ll also hear some of what our testers had to say about the drivers in the 2019 Most Wanted test. Great video and review. I’m stuck between the Callaway, Cobra and Taylormade. Went to a fitting and hit all 3 and it’s seems to be coming down to price sound and look. This isn’t helping though….now..which shaft… That’s the question. I really like the information put forth it does help to make intelligent decisions. I just broke my M1 about 6 months ago and because of the last years test I went to an Epic and am truly happy still, I just hit my first drive of 309 yards. 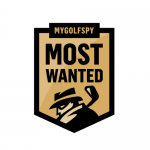 Without MyGolfSpy I probably couldn’t get the data from testing my self to make a good decision on my own. Great work guys, as always! I would love to replace my X-Hot driver. Great video guys and really nice to hear you’re including previous winners in next years test. Great content as usual. Would love the Epic Flash! Hit all the drivers in my fitting and really liked the Epic but nothing came close to the G400MAX for me! The new Mizuno was a close second which shocked me , would highly recommend people give it a try. Great job as always gents! I have, admittedly, never tried Cobra clubs, but they have performed well in all your testing. I’m going to give them a try when it’s time for me to replace my set. I’ve been playing the V2 Rapture since 2009, so i decided this year to look for a new driver. On the line of new drivers, I have only tested the Epic Flash and the M6, and for me, the Epic Flash gave me a tighter dispersion as well as slightly longer than the M6. I also did not hear the odd sound from the Epic as you guys discussed in the video. However, I still want to test out the Cobra F9 regardless of what happens. Your team had a lot of interesting takes on that driver. Keep up the good work. Maybe the forgiveness and straightness of the F9 will finally be enough to push my Vapor Speed outta the bag! Good info. I have expected Cobra to start catching up to the rest of the manufacturers for years. Looks like they are there. So attended a demo day by Cobra earlier this year where they were obviously showcasing the new F9 driver…so I took my older F6 along to compare.I really love my F6 for my swing and level of golf, and have hit Calloway and TM drivers in the past but could not justify upgrading from my F6 as the difference seemed to be minimal…until I put it up against the F9…I was more consistently in the middle of the fairway, I was longer and I loved to sound…so long story short I bought it…it took a month for it to get to me (no stock in Aussie for lefties) and I have only had it on the course for 2 rounds. First round I drove it OK but not entirely what I wanted, 2nd round is where I was expecting it to be…and now I’m hoping that will be the baseline for continued improvement. If the F9 can help get my drives more consistently in the middle of the fairway, as has been the case to date, then my handicap should start to tumble as instead of banging it out from under trees etc and costing myself shots, I will be playing for the green and isn’t that what we all want?? Keep up the great work you guys do as independent testers and commenters of all golfing equipment as it is refreshing to get truly unbiased information. Just curious. If you’re convinced your driver is adversely affect your handicap, why don’t you use it less? Always enjoy the content on GS. Knowing we’re getting unbiased info is key. I’m in dire need of a new driver. Just wish I knew where to get fitted that I can trust will do a solid job and not try to upsell me. There are several where I live. Am I good just going to my local golf store or is it worth paying more and going to the more in depth fitters? I’m an inconsistent higher handicapper so never thought getting fit would give true results but seems everything I read says I’d benefit as much or more. Thanks for the great info as always. If you haven’t done so already, I’d highly suggest giving True Golf Fit a run. It suggested a driver for me which is currently in my top-3 and within 1 MPH of ball speed of everything I’ve tested so far this year. Best of luck to ya! I want an artificial intelligence designed face!!! Very good! Thourghly enjoyed. First time seeing this and won’t miss another. Can’t wait for next year! Looking at the data results, it seems that the top 10 performers (those with +ve strokes gained) are splitting hairs (e.g. 5 yards difference total distance). I’m looking forward to trying a few (including my TrueGolfFit suggestions). You guys are doing great work! Been eyeing a new driver for a while…would love to get the epic flash sub zero. Nice presentation. Enjoyed the content. I’m intrigued by the Callaway offering. It would take more than just a couple of more yards to pry my M2 out of my ancient hands, and I was very impressed by the initial testing done against the previous year’s model at the PGA show. I am also very pleased to see MGS will be including the two previous year’s winners the most wanted driver test starting next year. Will you do the same thing next year for the most wanted putter tests. As a 72 yr old golfer I’m learning distance is great but straight gives me better results. I’m just frustrated when I no sooner make a purchase of the latest technology and a few months later here comes newer and better. I appreciate the reviews but for me I will be better off finding one that works for me…and stick with it. Fitting is a must do for me. Thank you for the info. I’m 66 and weigh 145lbs on a good day. Long and wiry. I got fitted and I was surprised that I didn’t get the driver that I thought would be right for me prior to the fitting. I also found that having long arms for my height had an impact on my shaft length, too. This is one of many reasons that getting fitted is the smartest thing you can do given that most stores will offset the fitting fee if you buy their driver. Saved $75 for my fitting and got my “final” driver. I wanted to get the Epic Flash but given finances rule the house I ended up getting the TourEdge EXS. Great Driver. Appreciate all y’all do for us. We just recently had a Club Day at our oft played muni. Got to hit Callaway, Taylormade, Cobra, Ping, Titleist and Wilson. Was not a big fan of the sound of the Flash but I can’t argue with the results. For me it was the longest and straightest. If I win the lottery it will go in my bag. I have always liked Cobra irons, but have never liked their drivers. They always seem to have that hard face feel to me. I am glad to hear they nailed this driver. I might have to try it at the store. I think it is odd that so many people think TM is a marketing company. I have always liked their equipment. I need to find something that is the most like Nike. I loved their drivers, and don’t know what to do when it comes time to update. Been playing my V2 Rapture since it came out. I have now decided it’s time for a new driver. So far I’ve tested the Epic Flash, the M6, M4, and the M2. I’m kinda limited to what I can pick from seeing as I live in a smaller town and Dicks is limited to what they carry. Since they had older models, I decided to try them against the newer ones. The Epic Flash worked best for me. My dispersion was tighter and increased my length by 15 yards. I didn’t really notice an odd sounds mentioned in the video. I have not purchased it yet, which I’m glad because after watching the video, I’m really intrigued with the Cobra F9 Speedback. Plus, winning the driver would be a bonus, and if not, then off to store it is. I want a really nice driver like any of those someday! 500+ always too rich for my budget! Still wondering how we’re not at the nexus of driver technology? What’s next? A precious metal from Wakanda which allows me to hit it out there with Dustin? “You miss 100% of the shots you don’t take” so here is my shot, hopefully lands in the middle of the fairway towards a brand new driver! You really cant go wrong with any of the new offerings from almost all the OEM’s. I have tried lots of them and the difference is insignificant for me. Not to say that one may or may not be better for you, but when all is considered there really wont be all that much difference. Have been playing the F9 for about a month now and can say it’s the easiest driver to hit that ive ever used. Looks great and flat out performs. Really interesting to see the price drop for PXG. Will that affect their luxury brand status? At that price it is definitely worth a look. Agree with Sam, after waggling a few of these in stores, the Callaway has a good shape down by the ball. Plus, GB Packer colors! I decided to get fitted at my local golf store. It took about 75 minutes to decide on manufacturer, shaft, weight distribution, flex, etc. Went through 4 different manufacturers and iterations. Tried the Cobra Speedback, Titleist TS2, Ping G410 and Mizuno ST190. Settled on the Mizuno ST190. Longer, straighter and more consistent than the other three competitors. Also, was able to get a shorter shaft and flex combination than what was offered by the other three. I’ve been to demo days for both Taylormade and Callaway this year, and I came to the same conclusion as the testers about the Callaway Epic Flash. It didn’t have a sound that I liked (compared to the first generation Epic Sub Zero that I currently play with), and I also didn’t like the look at address as much as my original Epic sub zero. By comparison I think the M5 was a better looking (at setup), and better sounding driver on impact. All that being said I would definitely accept a free one if I happened to win it. One thing both fittings at the demo days showed me is that my current shafts/clubs no longer fit with my current swing. I am definitely in the market for new clubs. I went to check out the TrueGolfFit website mentioned in the video, but am not about to pay $9 for something that is going to choose my driver based in questions that most people will answer incorrectly (knowingly, or simply lacking understanding) of how far they hit the ball(s), how fast they swing, etc. Not trying to get into an argument her TOM. I hear people talk about sound a lot. but honestly, if you are hitting the ball longer and straighter than before – why does sound matter? (I will admit – I used to cringe when someone hit the NIKE sumo (Square head) driver, but personally if the data can show me that one driver is better than the other, who cares what it sounds like. Look is different – mainly because it affects your confidence with a club, if you immediately have a negative perception, chances are you won’t swing positively. Demo of Callaway Epic Flash SubZero Driver was an eye opener! It was about 10 yards longer than my current M4 driver. Would appreciate information regarding the quality of the stock shafts offered by the various manufacturer. Just to clarify, these aren’t the top 5 drivers. These are the top in 5 different categories not the 5 best overall.